I was walking around the campus of the University of Washington to meet back up with my team. On the way, I passed a young man sitting alone at a table and as I walked by the Holy Spirit told me to return and talk with him. I went back and began sharing with him about Jesus. He looked really confused and said, "Are you a part of organizations that are on a bunch of campuses?" I told him that I just really love Jesus and that Jesus had told me to talk with Him. This young man then shared with me that as a junior in high school he had been touring college campuses for the past month. 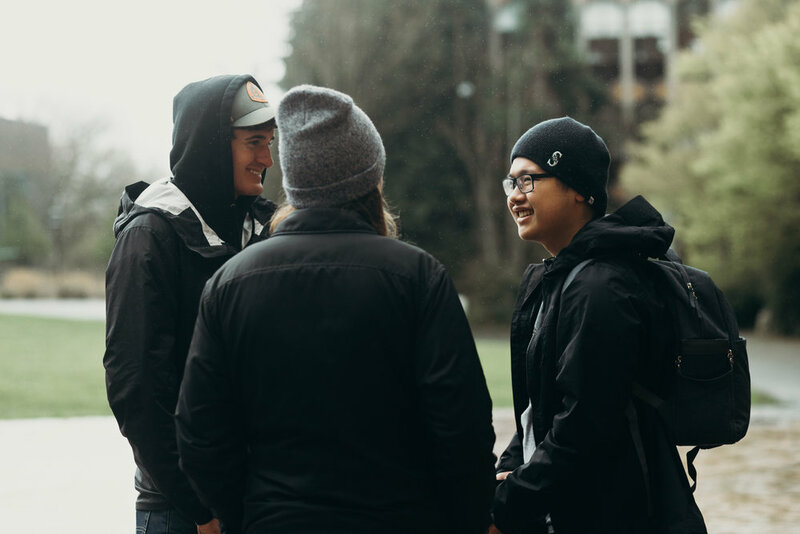 He had visited both Colorado State and Cal Poly, and at both colleges a stranger had tapped him on the shoulder and shared the gospel with him. I was actually the 4th person who had interrupted a college visit to share the gospel with him. God then gave me a word of knowledge about his hopes to study mechanical engineering. He was awestruck. I shared my testimony of getting to know God at his age and explained God’s pursuit of him and desire for relationship above all else. The young man then gave his life to Jesus right there. Afterward, he told me that his grandmother had been praying for him for a long time. This experience encouraged me so much, I feel excited to continue sharing the good news of Jesus with other people!